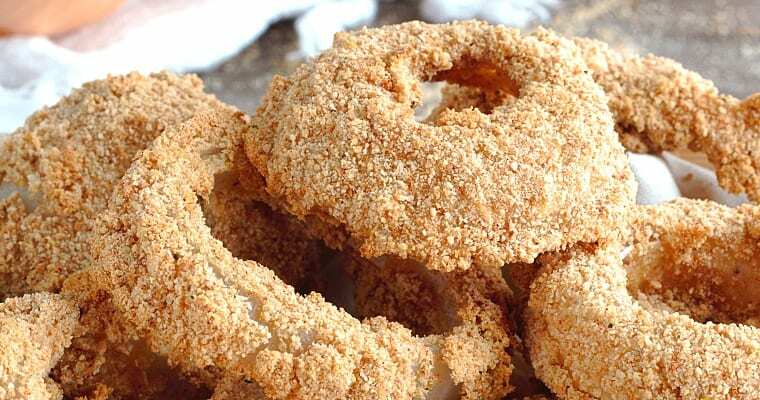 These vegan baked onion rings have a crispy outer shell and sweet onion center! I used flavors like smoked paprika, garlic and nutritional yeast to really give these rings a unique and delicious flavor. 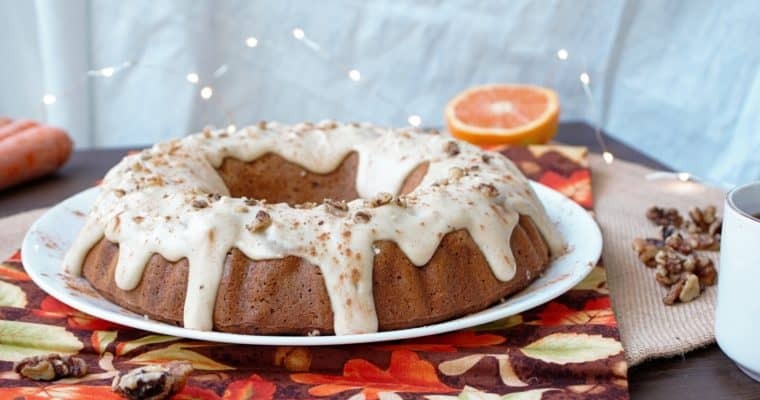 Not to mention, they make the house smell incredible while baking! Crunchy and indulgent without a drop of oil- great as an appetizer or late night snack! 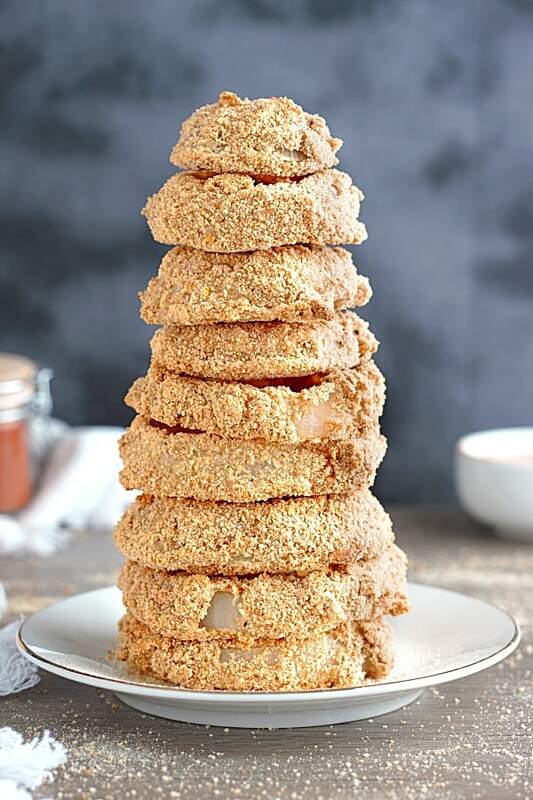 Egg is usually what makes the coating stick to the onions when frying, but there is always a way to make your favorite foods veganized, with a bit of experimenting! I found that a simple flour-almond milk-apple cider vinegar concoction was all it took to make the breadcrumbs and spices stick to the onion. 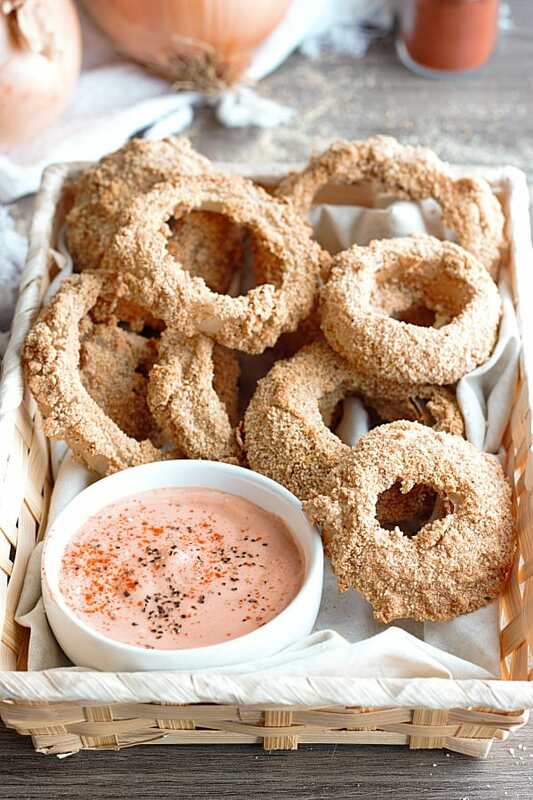 While I baked my onion rings instead of frying them, I found they were just as savory and delicious, and you won’t feel so weighed down afterwards which is a huge plus! 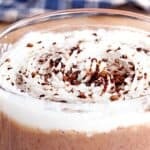 This recipe is super fun to make if you don’t mind getting a bit messy. Start by combining the bread crumbs and spices in one bowl, and the flour, almond milk and apple cider mixture in another. Then, carefully cut your onions into big rings- I used two onion layers for each onion ring. 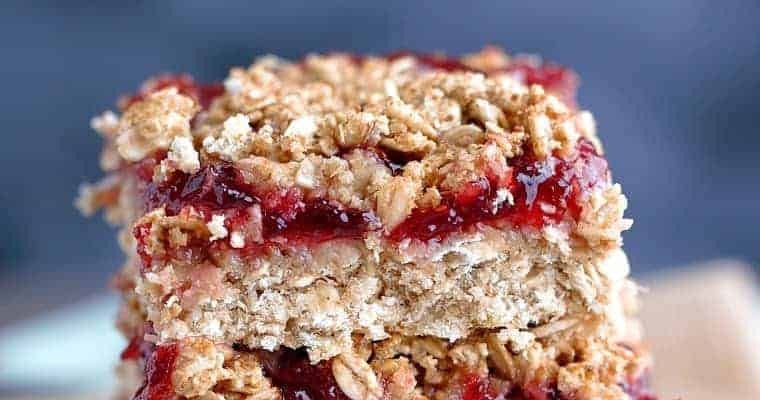 Dip it in the flour/ almond milk mixture, then into the bread crumb mixture, and place on a baking tray with aluminum foil or parchment paper, and make sure the rings aren’t touching each other. Bake at 400 degrees for 30-35 minutes, flipping half way through, until a beautiful light golden brown. 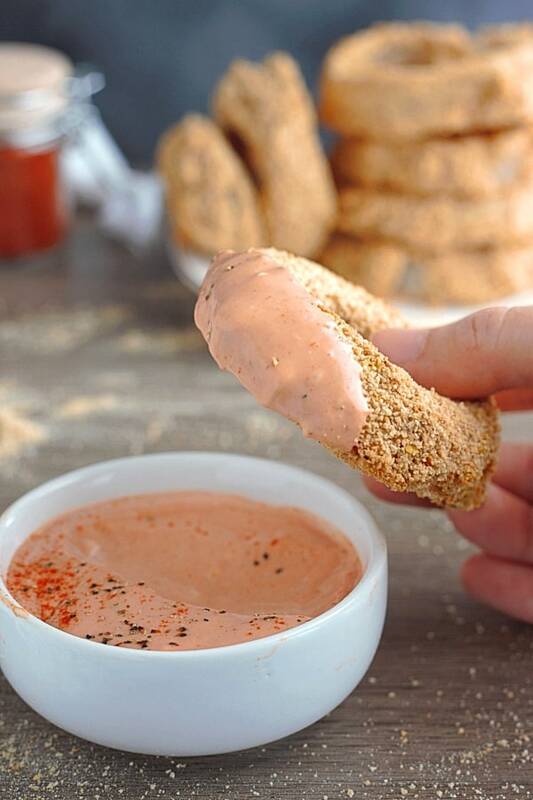 Serve immediately with dip of choice- I simply combined vegan mayo with ketchup and sprinkled on some more smoked paprika and pepper, it was perfect! Since these are best served warm and right out of the oven, I would recommend preparing them right before you are about to eat. If you’re taking these on-the-go and if possible, prep your mixtures to take with you and quickly dip and bake them when you get to your destination! If you don’t have the time to wait, you can make them beforehand and toast them up in a toaster oven or quickly in the oven before enjoying! Perfect for an Appetizer or Snack! Carefully chop onion into rings. 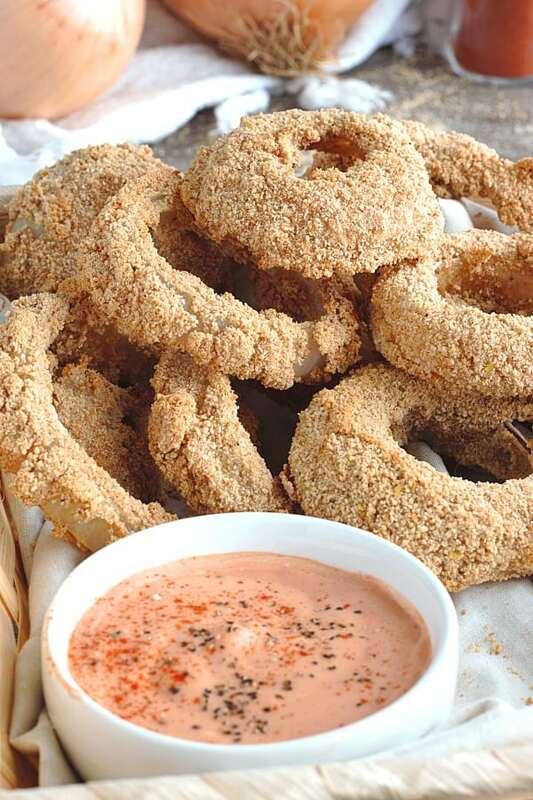 You'll want 2 layers in each onion ring, so separate the rings down to the onion core, being careful not to break them. In a bowl, add together the bread crumbs, smoked paprika, garlic powder, pepper, salt and nutritional yeast and mix well. In a separate bowl, add plant milk, flour and apple cider vinegar and mix well. Taking a ring at a time, and while using separate hands for each bowl (left hand dry and right hand wet), dip into the wet ingredients, then into the dry and coat evenly. You may need to use your hand to sprinkle it on the top. If desired, repeat this process for a thicker coating. Align single file on a baking dish with either parchment paper or aluminum foil. Make sure the rings are not touching one another. *If using the dip, simply combine the ketchup and mayo in equal parts - I also topped mine with a bit of extra smoked paprika and pepper! 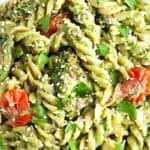 Thanks to shaneandsimple for the inspiration for this recipe! Aww, this brings back such beautiful memories of a recipe similar that a family member used to make. It reminds me of how much I loved it 🙂 Thank you so much! Looks so delicious and crispy! Thank you! I was so happy with how crispy they got! Great snack for a game day! 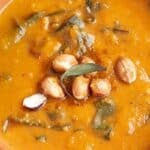 I love that you used smoked paprika, it’s one of my favorite spices, I need to try this recipe. Yes for sure! It’s my favorite spice too! 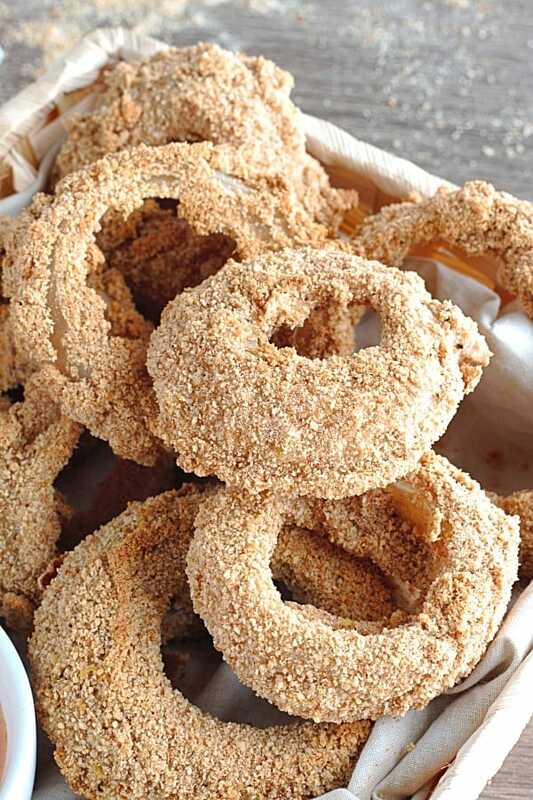 these onion rings look super crunchy and delicious. The vinegar seems like it would add such a lovely flavor too. 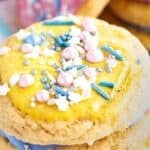 Is the flavor prevalent after you bake them? Thank you! It’s definitely not prevalent, but I think it really adds to the flavors as a whole! These look so good! Any idea on time/temp of I were to make these in an air fryer?